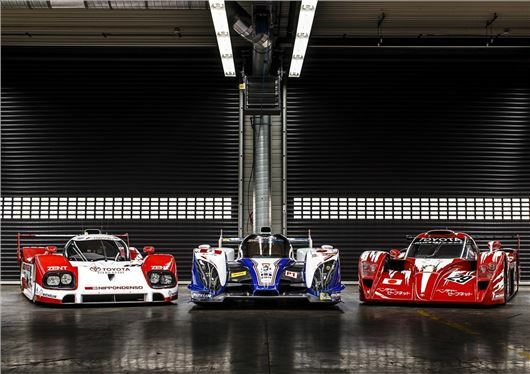 A trio of historic Toyota Le Mans cars will be in action at the Goodwood Festival of Speed, which takes places from 11-14 July. The TS010 and GT-One from the 1990s will be in action with Toyota’s current TS030 Hybrid Le Mans racer. Martin Brundle and Emanuel Collard will be rolling back the years behind the wheel of the GT-One they raced at Le Mans in 1998 and 1999, while current Toyota Racing team-mates Anthony Davidson and Alex Wurz will take turns driving the TS010 that competed in the world famous 24-hour challenge in 1992 and 1993. Davidson and Wurz will also be reunited with the TS030 Hybrid, the car that claimed second and fourth places at this year’s Le Mans 24 Hours. There will also be a fantastic collection of classic WRC cars in action on the Festival’s rally stage. Three versions of the Celica GT4 (ST165, ST185 and ST205) will be joined by the Group B TA64, driven by Björn Waldegård. The last works-entered Toyota world rally car - the Corolla WRC - will also be rattling around the purpose-built forest rally stage, along with John Midgley’s classic Corolla AE86. Modern motoring fans will be invited to inspect Toyota’s latest developments, with a first showing of the FT86 Open concept – a working design study for a potential GT86 convertible – and a racing version of the GT86, which will be displayed alongside an original 2000GT from the 1960s.